Seattle Child Injury Attorneys | Davis Law Group, P.S. Every child has the right to a safe, healthy, and happy childhood. When an innocent child is injured in an accident they deserve to have someone on their side fighting for justice. In cases involving severe brain injuries, an injured child may never grow up to become an independent adult. Washington state law allows a child’s parent or guardian to work with a child injury attorney on the child's behalf. We believe that every successful child injury recovery starts with the victim's family having up-to-date and accurate information about the legal process. Attorney Chris Davis provided much of this information for free and we encourage you to read our book, Little Kids, Big Accidents: What Every Parent Should Know About Children And Accidents, and to browse our website to find out more information about child injury claims and the insurance process. If your child has been seriously injured, contact the child injury attorneys Davis Law Group at (206) 727-4000 for a case review or to schedule a free legal consultation. The Washington state child injury attorneys at Davis Law Group have worked tirelessly for the rights of injured children and their families. Our office knows the heartache and recognize no amount of money is going to provide solace from the loss of a child. We have worked closely with fathers, mothers, grandparents, siblings and guardians as they work through challenges and deep grief to hold accountable those responsible for a child’s injury or death. Parents and guardians of children that have been injured as a result of neglect, poor supervision, carelessness, or wrongdoing need to know that child injury claims are significantly different from adult injury claims. The statute of limitations for child (under age 18) injury claims and lawsuits is typically extended. A child cannot hire an attorney and file a personal injury lawsuit on their own — typically a parent or guardian must do so on behalf of the child. A claim for mental and physical health care costs can be brought by the parents or guardian who was responsible for the bills. Parents may have a legal claim for their lost wages due to an ability to work in order to care for their injured child. Seriously injured children may have a legal claim for future lost wages due to an inability to work. Children are not held to the same legal standard as adults when evaluating negligence — children are not necessarily responsible for their own actions. The settlement of a child injury lawsuit or legal claim must typically be approved by the court. In some cases, once a court has approved a settlement or claim, the child may not receive funds until he/she is 18 years of age. Washington state law recognizes the Parental Immunity Doctrine, which protects parents from being held legally responsible for negligent acts which may result in a child's injury. This is not only beneficial to parents whose children have been injured in an accident, but also ensures that the child is able to recover the full amount of compensation that they deserve for their injuries. Dealing with the serious injury or death of a child is one of the most devastating things a family can endure. At Davis Law Group we understand that no amount of compensation can begin to repay a family dealing with the injury or loss of a child. Unfortunately, the process can be difficult in complex in bringing a claim for your child. Click here for a complete guide to child personal injury claims. The award-winning attorneys and legal team at Davis Law Group have served the interests of injured children and their parents since being founded by attorney Chris Davis in 1994. 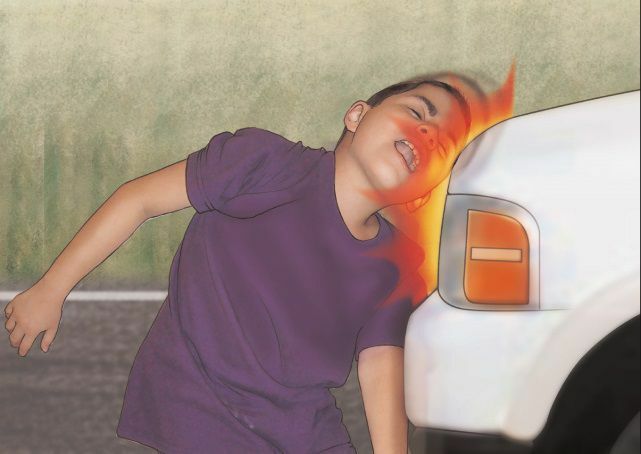 According to the Washington State Department of Health, which tracks all types of child injuries, there were a total of 15,998 non-fatal child injuries between the years 2009-13 in Washington State. That’s an average of 3,200 a year. Injuries resulting from these types of accidents are often very serious and can sometimes lead to severe, long-term disabilities. The person or company responsible can be held accountable through a lawsuit filed on behalf of the injured child. And when that negligence results in the death of a child, a claim by the parent or parents will be a difficult and sensitive matter best handled by professionals with years of understanding, compassion, and patience handling these situations. If you have a child that has been injured in an accident, contact Davis Law Group today: (206) 727-4000. When Do You Need A Child Injury Attorney? Cases involving physical or emotional injuries to minor children can be very complicated from a legal perspective. In many cases involving physical injuries, children may heal at a different rate than adults, and it may take years for the full effect of a permanent injury to become apparent. In cases involving emotional damage, such as post-traumatic stress disorder (PTSD) after a violent accident or sexual abuse, children may not be able to articulate the full extent of their fear and pain until they are older. Fortunately, the statute of limitations in Washington state in cases involving injuries to children does not always end after three years. This means that you can still search for a lawyer even if it took years for medical professionals to evaluate the full extent of your child’s injuries. However, if you know that your child has serious and life-changing injuries, it’s a good idea to start the process by speaking with a personal injury attorney as soon as possible. If you wait too long to speak with an attorney, it’s possible that crucial evidence could be lost. It’s a good idea to contact an attorney as soon as you know that you want to file an insurance claim or lawsuit on your child’s behalf. 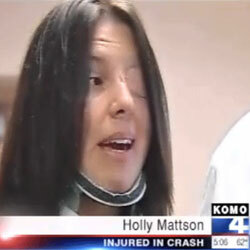 For a free case evaluation, call Davis Law Group at (206) 727-4000. A 7-year-old boy was crossing the street after exiting the bus and was struck by an SUV. He received a $415,000 settlement.